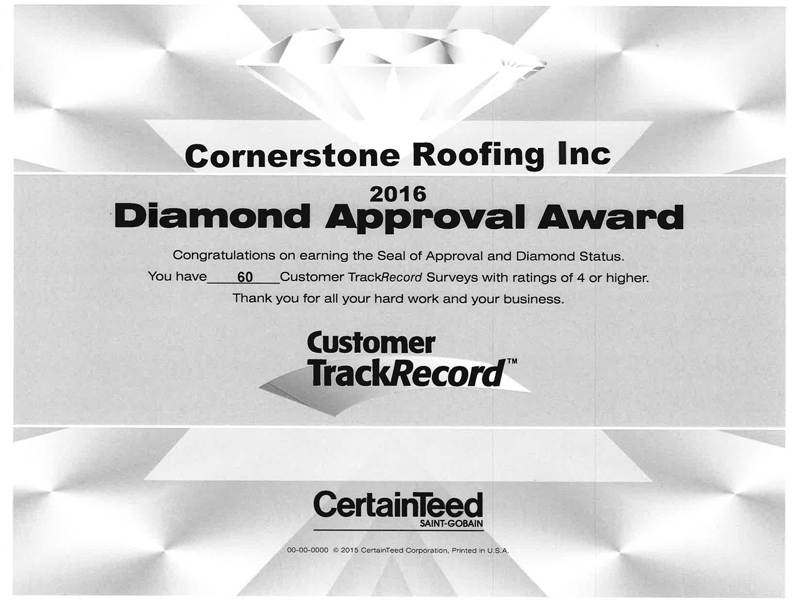 Bothell-Kenmore Reporter article on Cornerstone Roofing's CertainTeed Diamond Level Customer TrackRecord Award - Cornerstone Roofing, Inc. 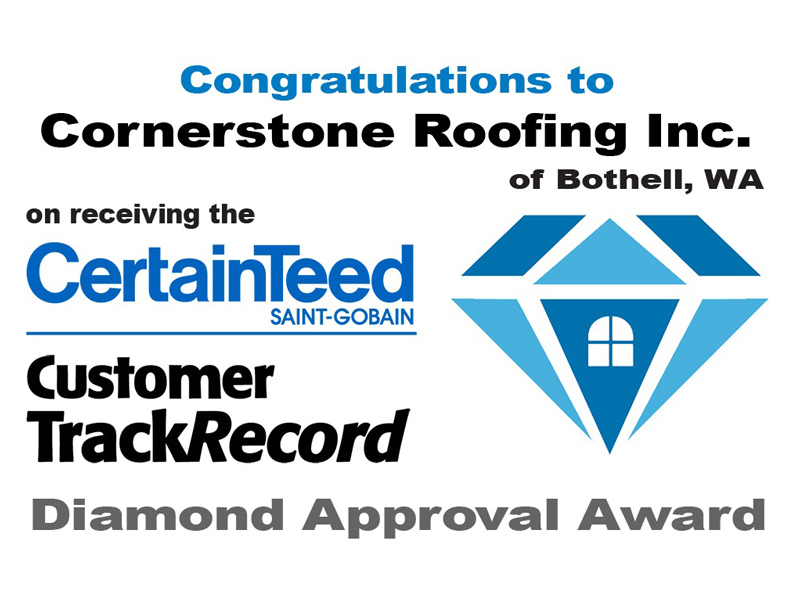 Thank you to the Bothell/Kenmore Reporter for your article on Cornerstone Roofing, Inc.‘s CertainTeed Roofing Diamond Level Customer TrackRecord Award! We appreciate it very much! 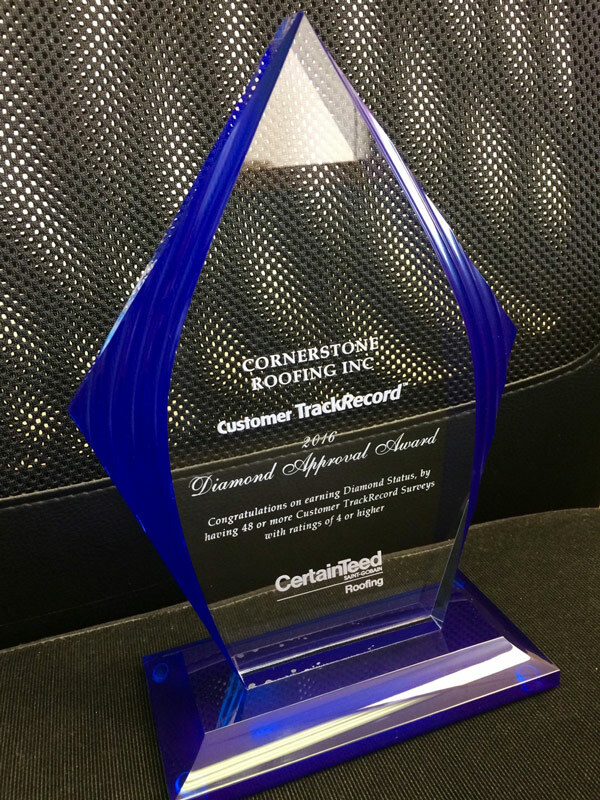 The article title reads, “CertainTeed honors Cornerstone Roofing of Bothell with award” and continues on to say: “Cornerstone Roofing Inc. of Bothell has been honored with CertainTeed Corporation’s Diamond Level Customer TrackRecord Award. The accolade recognizes roofing contractors who are focused on superior standards of customer service. Cornerstone Roofing shares the distinction with only a few other companies in the U.S. and Canada. ‘Cornerstone Roofing is very deserving of the Diamond Level Customer TrackRecord Award,’ said Jay Butch, director of contractor programs for CertainTeed Roofing. ‘They have reached this elite status by demonstrating excellent performance and consistently providing exceptional levels of customer satisfaction. '” – Bothell-Kenmore Reporter.